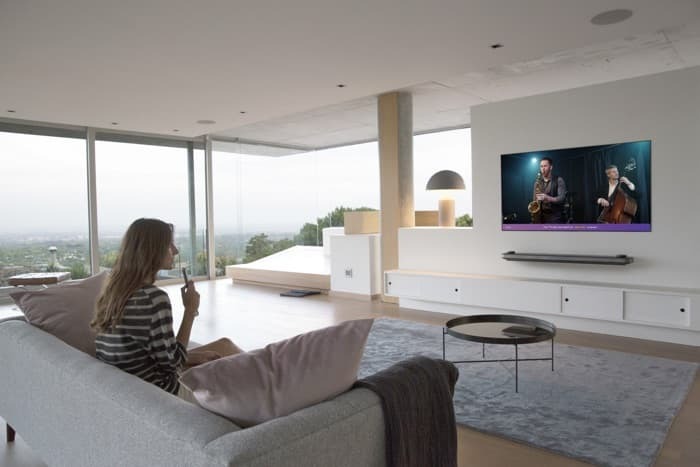 LG launched its new 2018 premium TV range in the US last month and now it is launching them in the UK. The range of LG’s premium Smart TVs include screen sizes from 55 inches to 77 inches and some models come with LG’s ThinQ AI built in. “With LG’s α (Alpha) 9 intelligent processor powering company’s market leading W8, G8, E8 and C8 OLED TV series, viewers will experience enhanced image rendering and more accurate colours from virtually any viewing angle in addition to perfect black levels, the hallmark of LG’s OLED TVs. And with Dolby Atmos sound and optimal picture quality, this year’s TVs from LG will provide consumers with an immersive viewing experience. You can find out more details about LG’s new 2018 premium TVs over at their website at the link below.